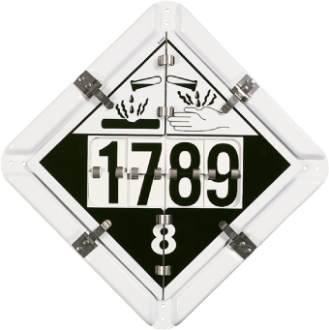 As the hazardous content of your container changes, so can your placard. Combination placards feature 5 placards and flip change numbers to provide the most versatility. Change legends with a simple flip of a file. Rust proof aluminum placards with stainless steel clips construction.